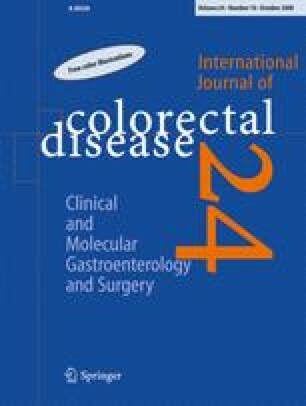 This study aims to show pelvic floor dysfunctions in women with obstructed defecation syndrome (ODS), comparing nulliparous to those with vaginal delivery or cesarean section using the echodefecography (ECD). Three hundred seventy female patients with ODS were reviewed retrospectively and were divided in Group I—105 nulliparous, Group II—165 had at least one vaginal delivery, and Group III—comprised of 100 patients delivered only by cesarean section. All patients had been submitted to ECD to identify pelvic floor dysfunctions. No statistical significance was found between the groups with regard to anorectocele grade. Intussusception was identified in 40% from G I, 55.0% from G II, and 30.0% from G III, with statistical significance between Groups I and II. Intussusception was associated with significant anorectocele in 24.8%, 36.3%, and 18% patients from G I, II, and III, respectively. Anismus was identified in 39.0% from G I, 28.5% from G II, and 60% from G III, with statistical significance between Groups I and III. Anismus was associated with significant anorectocele in 22.8%, 15.7%, and 24% patients from G I, II, and III, respectively. Sigmoidocele/enterocele was identified in 7.6% from G I, 10.9% G II, and was associated with significant rectocele in 3.8% and 7.3% patients from G I and II, respectively. The distribution of pelvic floor dysfunctions showed no specific pattern across the groups, suggesting the absence of a correlation between these dysfunctions and vaginal delivery.